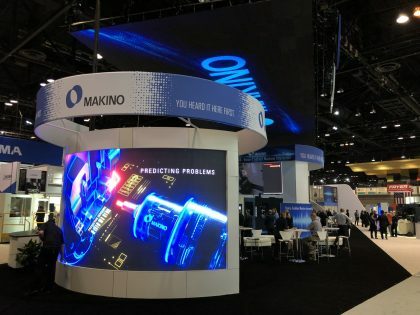 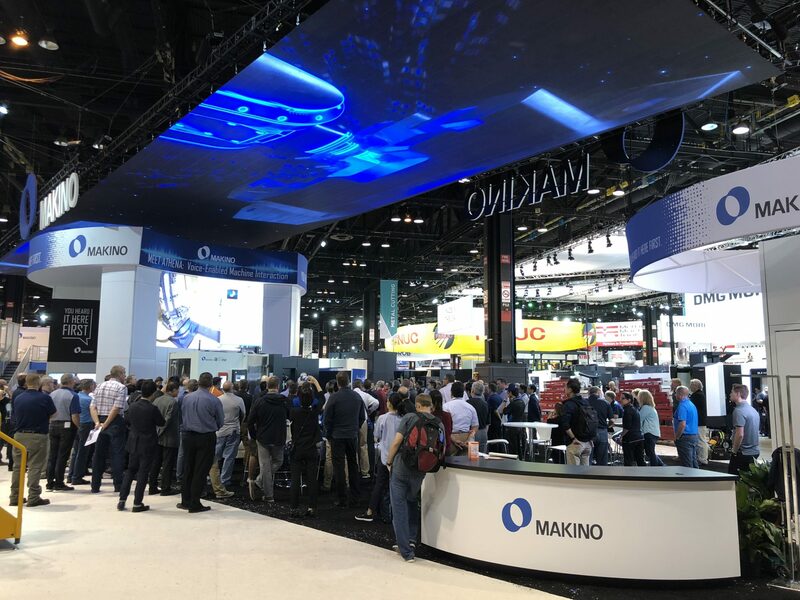 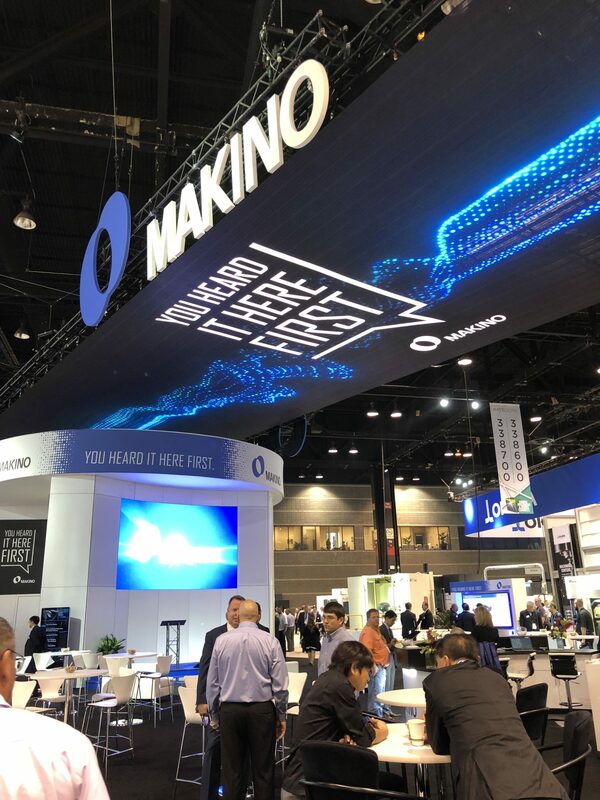 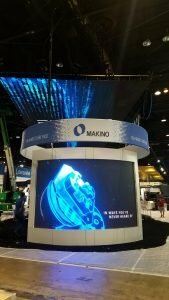 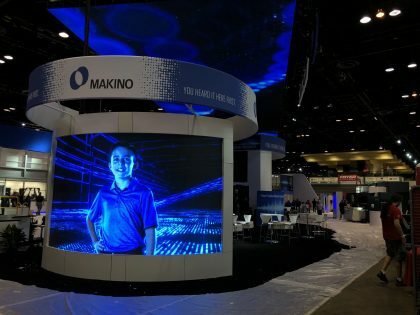 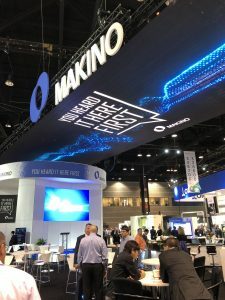 At the International Manufacturing Technology Show (IMTS), the country’s largest manufacturing conference, for their client Makino, Inc., Madison Design needed to break through the noise to unveil revolutionary voice activation technology. 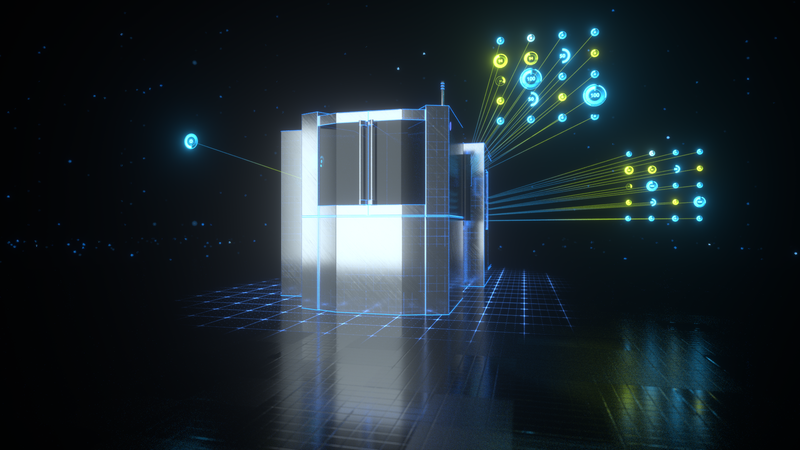 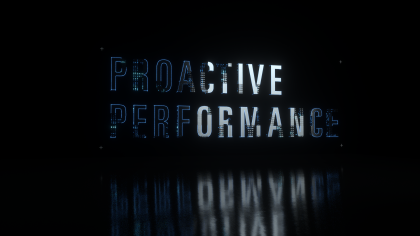 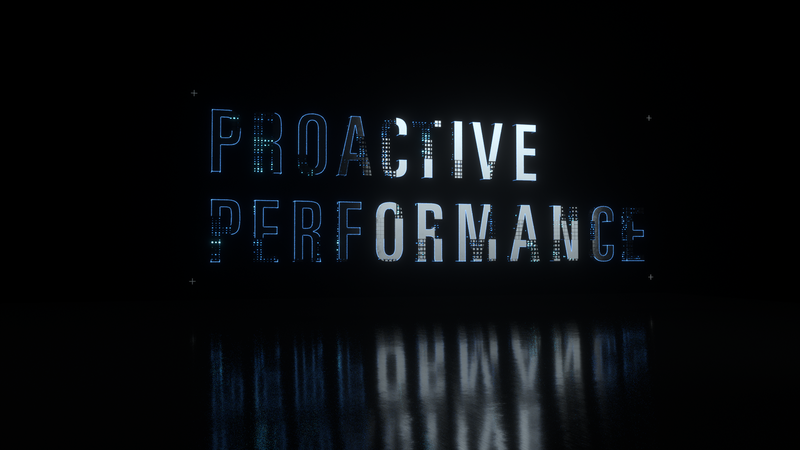 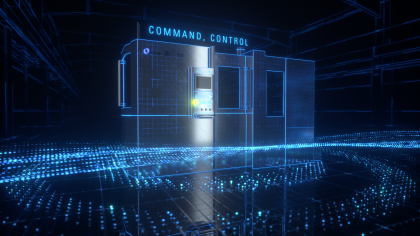 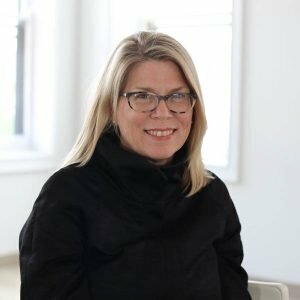 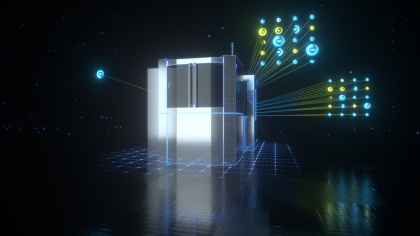 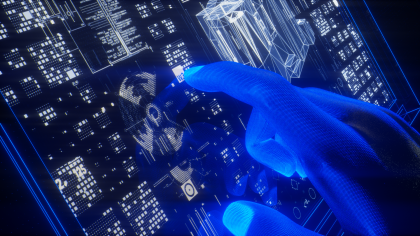 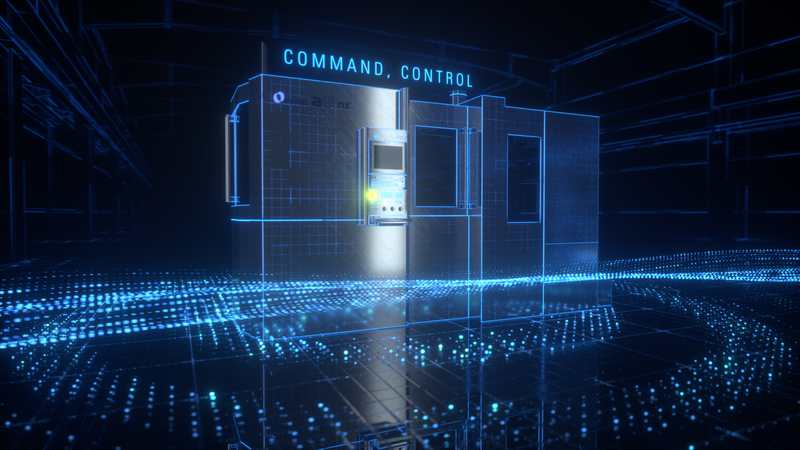 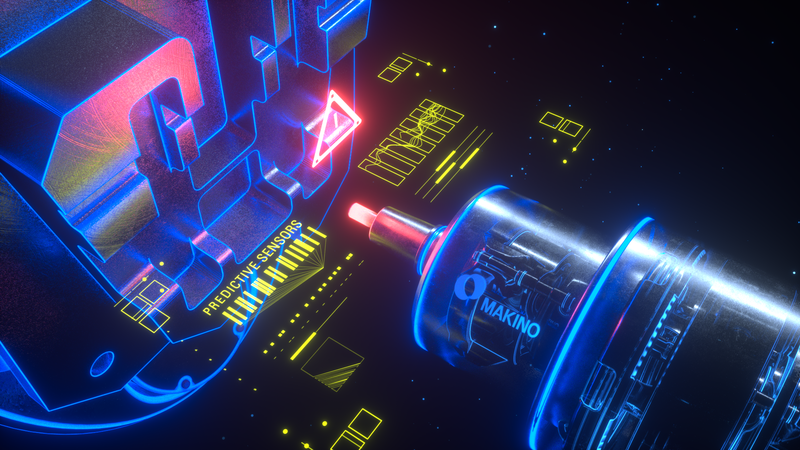 Madison Design approached us to collaborate on creating a video for both the internet and industry events that would effectively showcase the industry-changing technology of voice control in the machining industry. 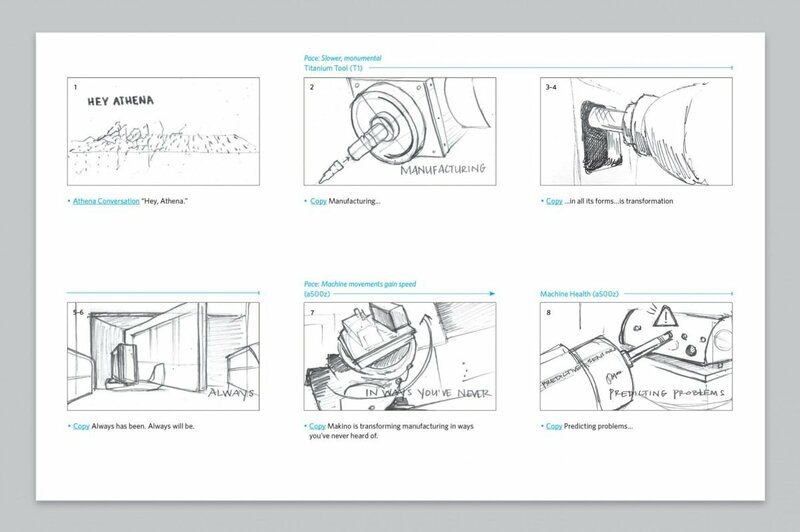 Starting with Madison Design’s hand drawn storyboards, we created a number of looks and moods for the video, which, after feedback from client, were translated into the initial style frames. 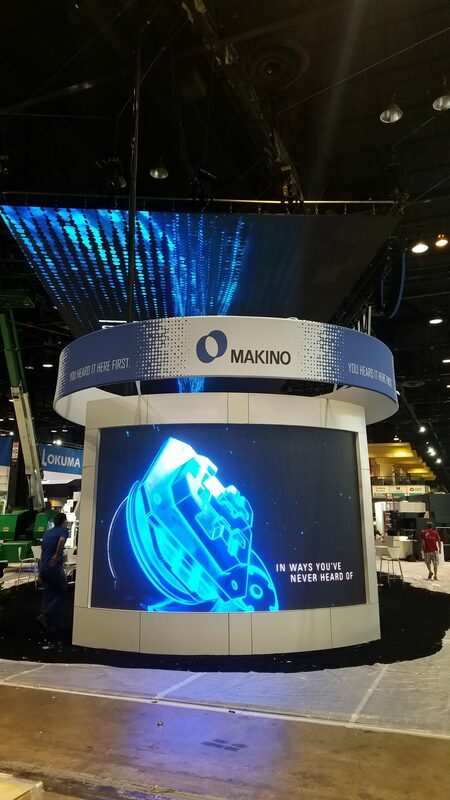 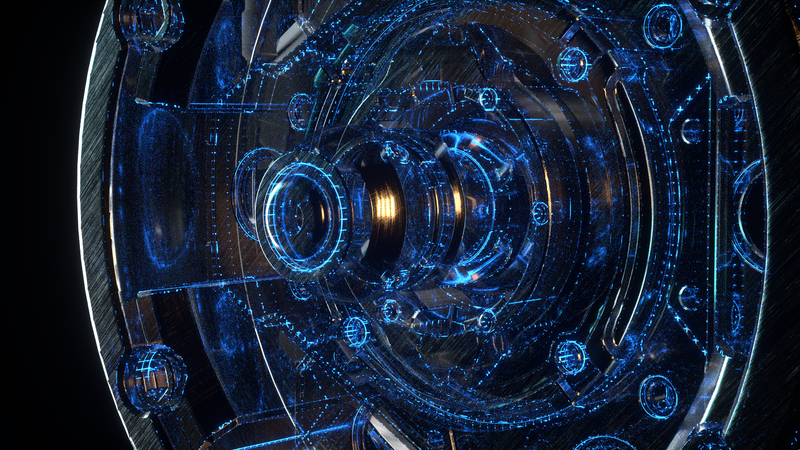 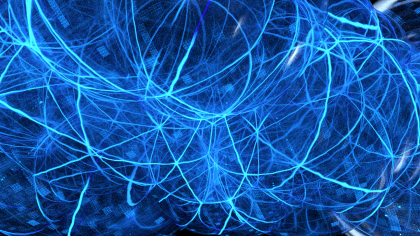 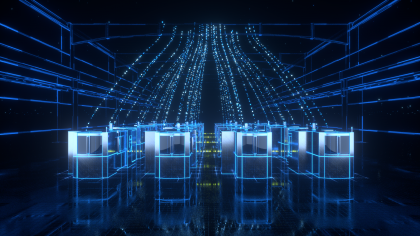 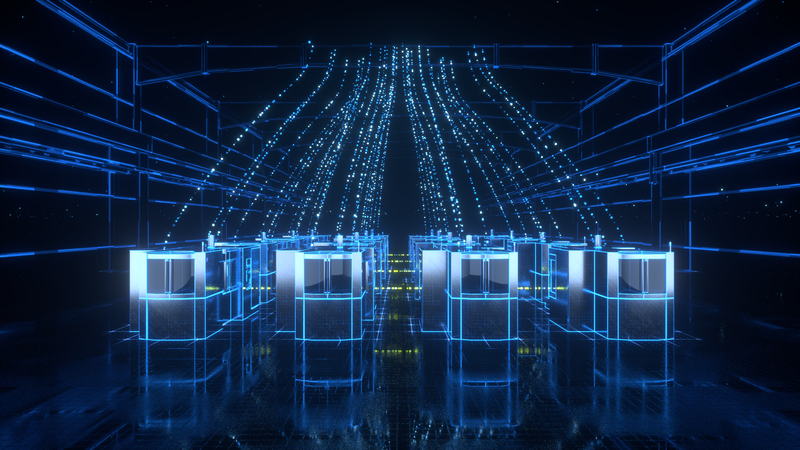 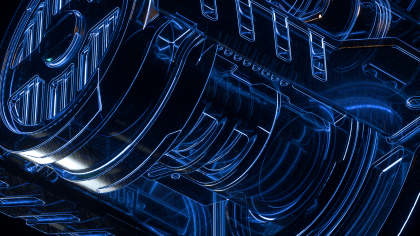 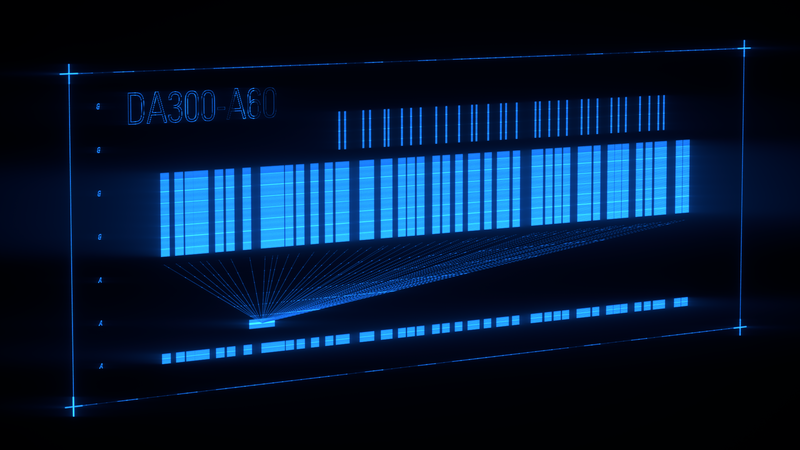 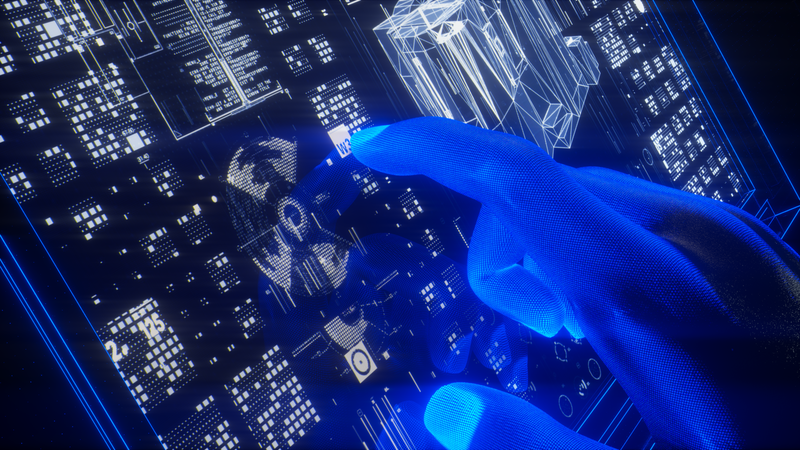 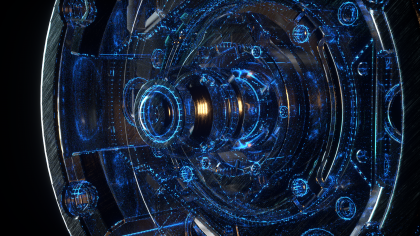 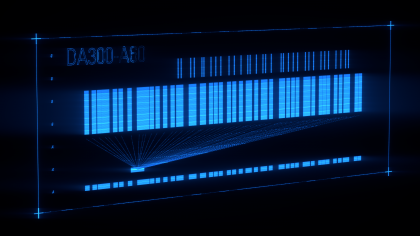 We worked closely with Madison Design and Makino during every stage of the project to make the 3D animation as dazzling and engaging as possible while keeping an eye on accurate representation of the new technology. 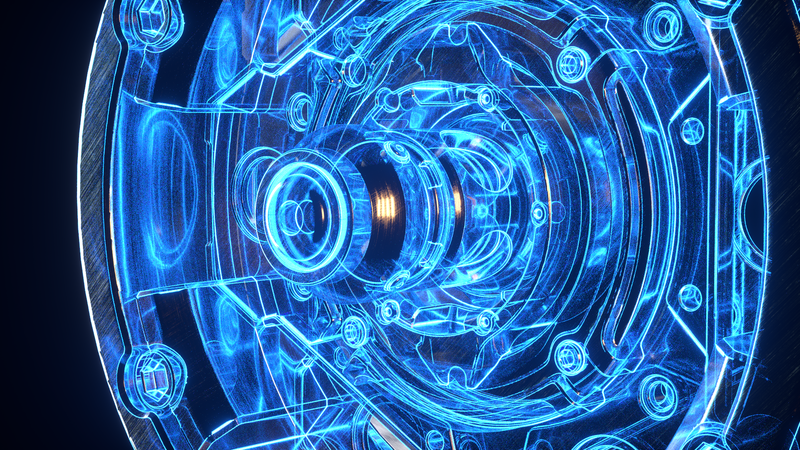 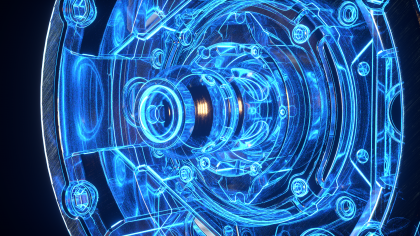 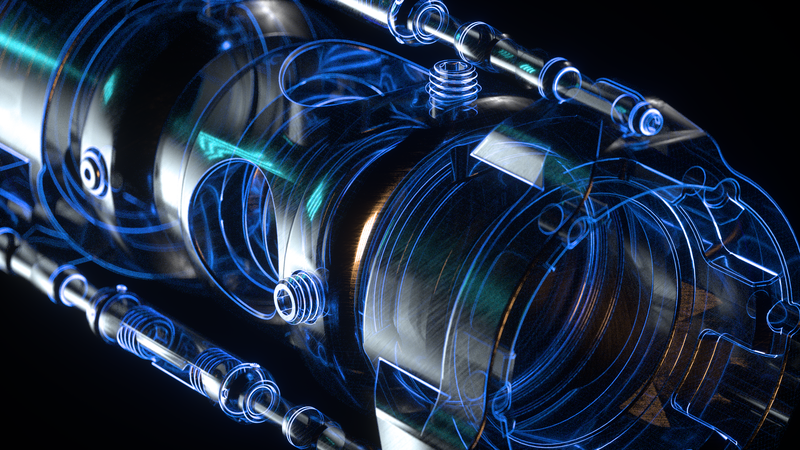 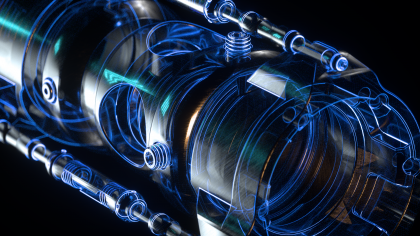 Makino provided hard surface Fusion 360 models of the technology. 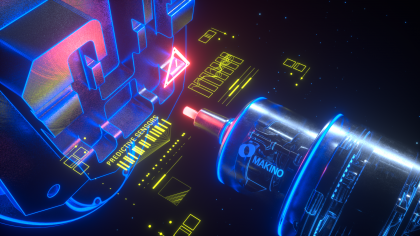 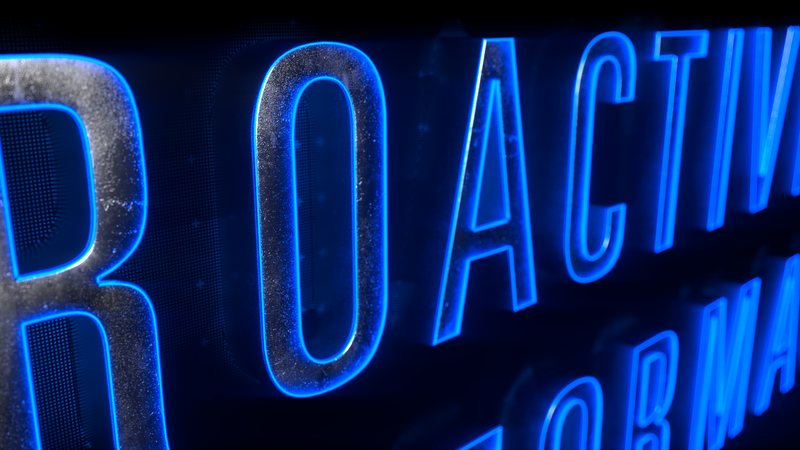 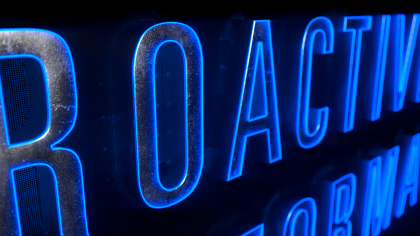 Senior Designer/Animator Kevin Gautraud and Designer/Animator Dan Walton then re-modeled, textured and shaded the assets for our Cinema 4D/Octane animation workflow. 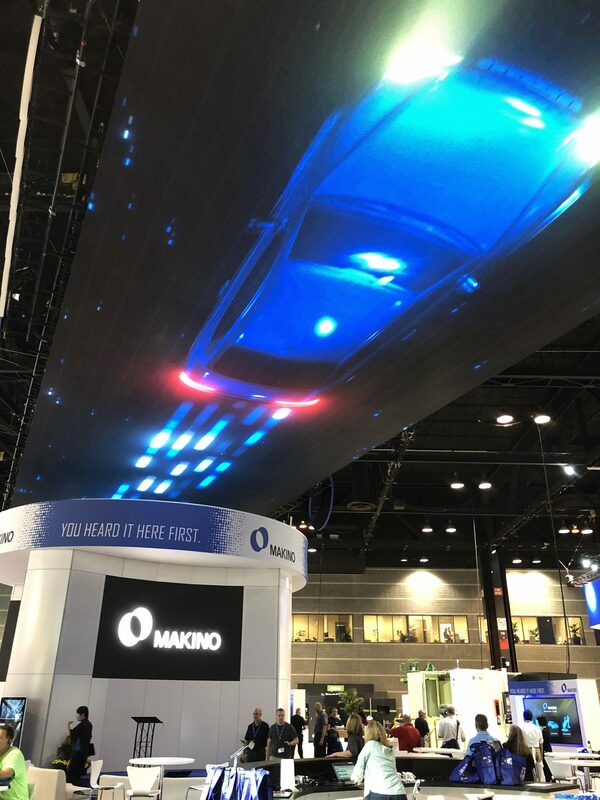 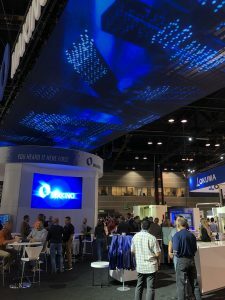 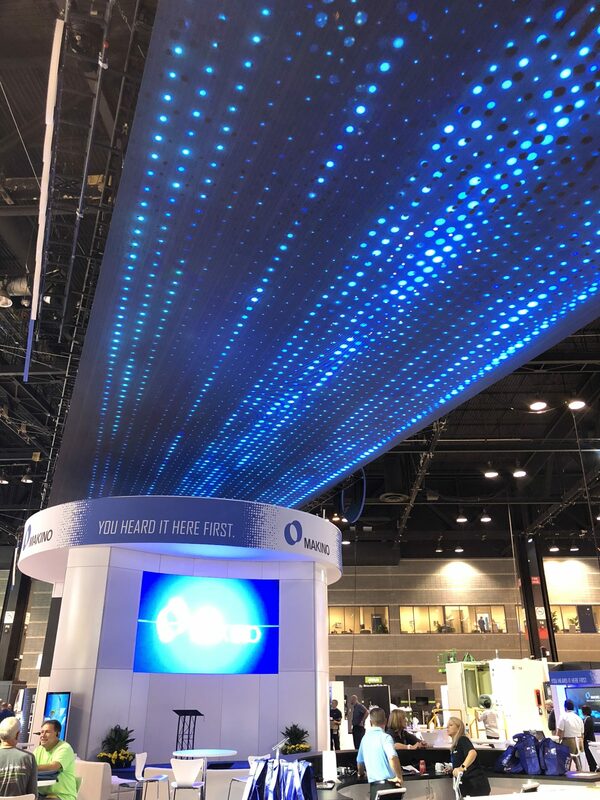 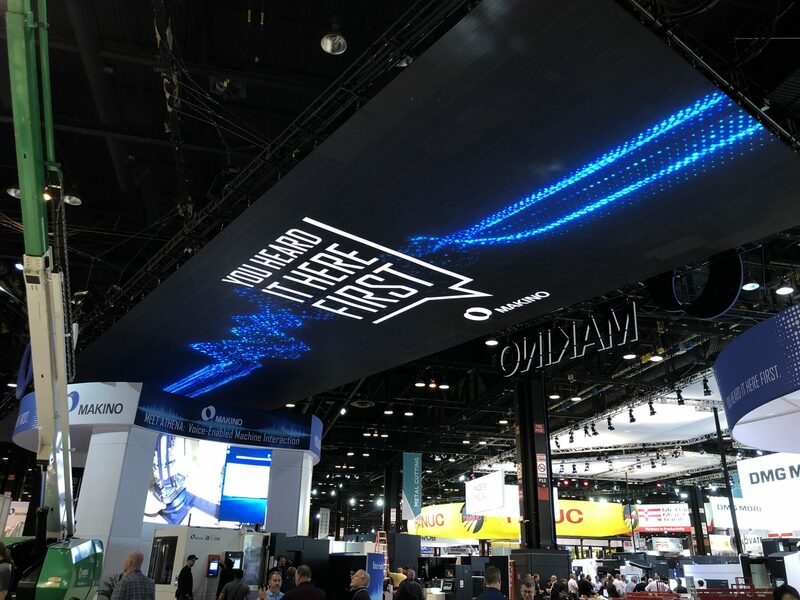 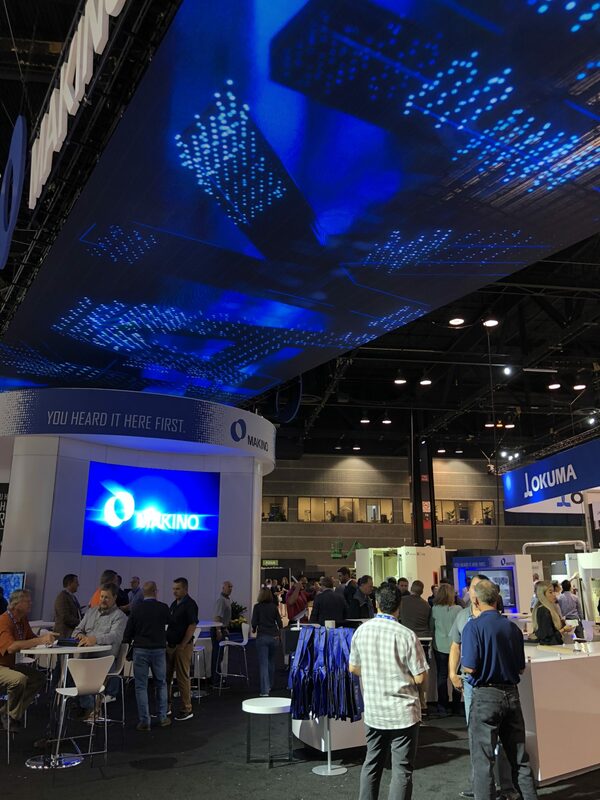 In addition to creating the multi-use video, we also produced large scale billboard-style videos that played on a massive ceiling LED display, which helped draw attention and drive traffic to the booth at the IMTS show in Chicago at McCormick Place, the largest convention center in North America. 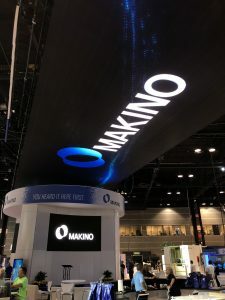 Having Lightborne at the table while we brainstormed and coordinated with Makino helped us all build upon the original vision. 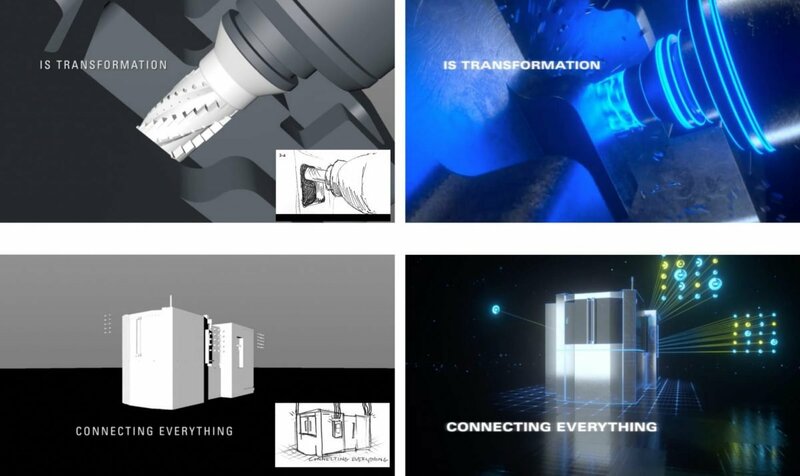 At every stage, we consulted with Lightborne on content, look, tone, lighting, space, music, use of color and accuracy.